Here are some exercises for the lower leg muscles which can help strengthen and stabilize ankles after injury, as well as help reduce the risk of injury. Heel raises works the gastrocnemius and soleus muscles. Stand upright on the end of a platform or stair with the balls of your feet on the edge and your heel free. Raise your heel as high as you can with your weight supported on the balls of your feet. 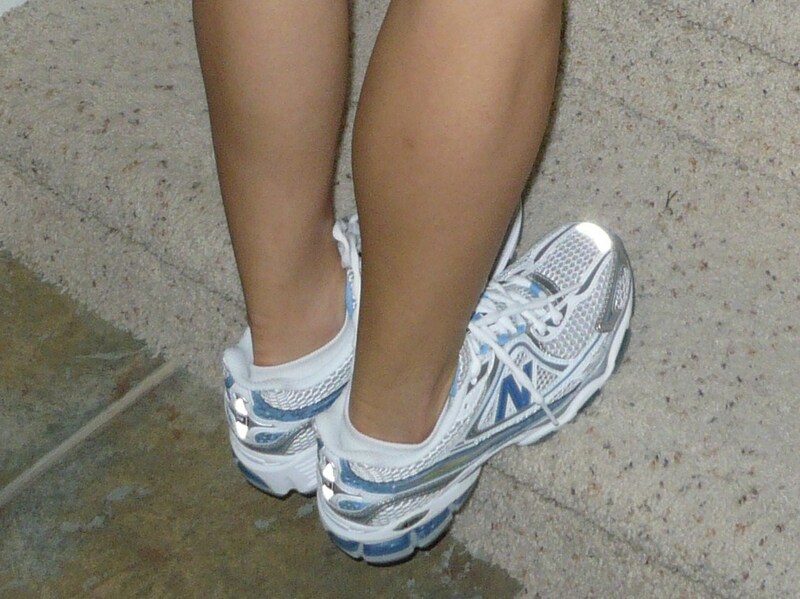 Then slowly lower your foot until your heel is below the level of the stair. Or you can do this without a platform, facing a wall, place both hands against the wall, rise up on your toes, hold for a count of 5, then lower and repeat. To increase the work on your calf muscles perform the exercise with your weight supported on one foot by placing the other foot behind your heel. Your front lower leg muscles are small but are prone to injury, aka, shin splints; you need to work these front lower leg muscles to help balance the development of your calf muscles. Toe raises strengthen the lower leg muscles. While standing either with your hands on your hips or holding onto body bar to help with balance. Raise your toes off the floor, balancing on your heels, and lower. Lift and lower several times, you will definitely feel this in the front of your leg. Seated calf raises should be included in your routine because this works the soleus muscle more than the gastrocnemius. We can all benefit from this exercise but especially distance runners because the soleus muscle is made up of mostly slow-twitch fibers thus making it an endurance muscle. Sit down on the edge of a table or exercise bench with the balls of your feet on a surface two to four inches high. Place a barbell or 2 dumbbells across your thighs and raise your heels as high as you can or if you are in the gym, you can use the seated calf raise machine. Towel Stretch- Inversion Wrap a towel around the ball of your foot. Start with your foot turned out then pull your foot in, and return to the start. Repeat on the other foot. Same instructions as above, but this time start with your foot turned then pull your foot outwards. Repeat on the other foot. 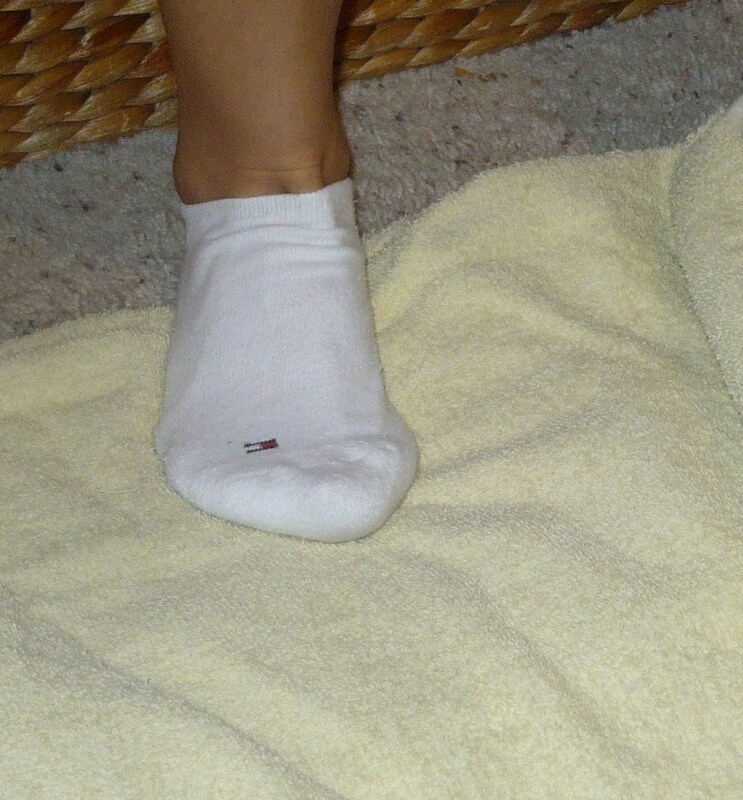 Sit with your foot on a towel, placing your heel off the edge of the towel. 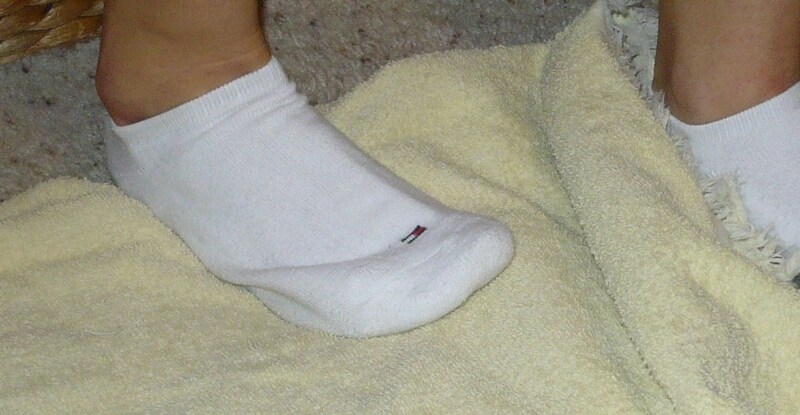 Use your heel to push the towel inwards towards the inside of your foot. Then reverse the movement and push the towel outwards. Repeat on the other foot. Walking on your toes (preferably with shoes on) for 1-5 minutes; then alternate walking on your heels for the same amount of time, will also help strengthen the ankles. Simply balancing on one leg for up to 1-2 minutes will also help to strengthen the ankle. Once this becomes easy, try it with one then both eyes closed, when that becomes easy use a wobble board or the BOSU ball. Let’s keep our ankles healthy and strong and injury free. This entry was posted in Pilates. Bookmark the permalink.